Award-winning author Jim Proser grew up as the fourth of five sons of nightclub impresario Monte Proser and film actress Jane Ball in New Hope, Bucks County, Pennsylvania. Jim began his professional writing career at age 15 as a city reporter for the Lambertville (NJ) Beacon newspaper and as a regional photojournalist for the Bucks County Courier Times. 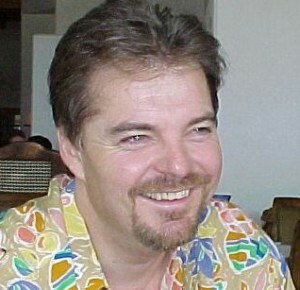 He went on as a journalist to write interviews of business leaders for the Investor’s Business Daily. 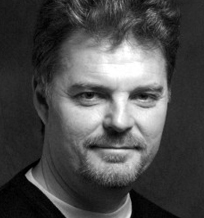 He has written screenplays for film and television producers including 20th Century Fox Television, Showtime Networks and numerous independent producers. His first book, “I’m Staying with My Boys; The Heroic Life of Sgt. John Basilone, USMC” was published by St. Martin’s Press and awarded the United States Marine Corps Commandant’s Recommendation in 2011. It has remained on the commandant’s professional reading list since that year and was used as source material for the HBO television series, The Pacific, and the subsequent documentary film written and directed by Mr. Proser. The book and documentary have also served as the source material for speaking engagements to the United States Naval Institute in Washington DC, the University of Northern Idaho Writer’s Symposium, Bowdoin College Advanced Literature Studies, the Coeur D’Alene Charter Academy and numberous civic organizations and secondary schools. 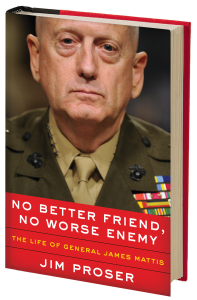 His current book, “No Better Friend, No Worse Enemy; The Life of General James Mattis” was published by HarperCollins publishers and released on August 7, 2018. The book has achieved the rank of #1 in its category and #17 overall on amazon.com. He has been interviewed about the book on “The Story with Martha MacCallum” and “Fox and Friends” on the Fox News Network. Jim lives in Sarasota, FL and spends his days working on his next book and writing inflammatory political posts for his blog at jimproser.com.